She’s a runner and yogi who also coaches your daughter’s soccer team. She wears classic athleisure style and always has a healthy glow. 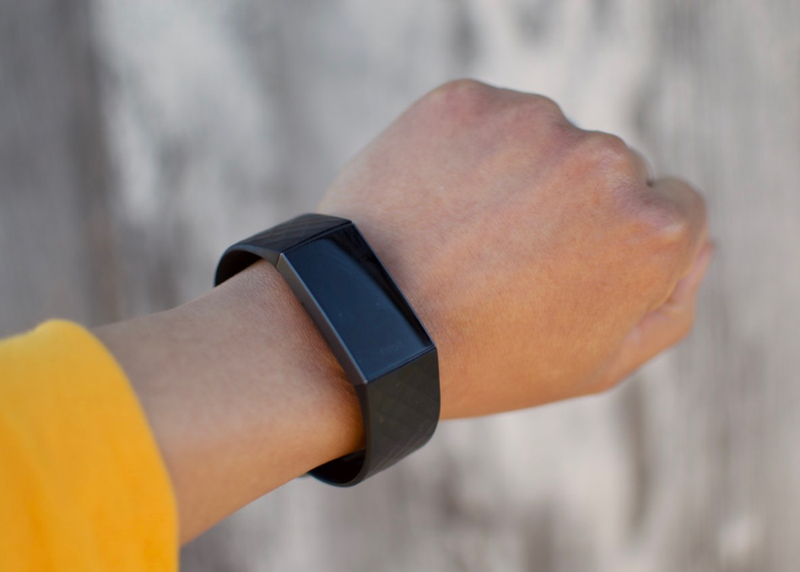 If she doesn’t already have a smartwatch, take a look Fitbit. Mine is a Charge 3 which tracks my sleep and my steps. It also displays my text messages which I can scan without stopping to reply right away. The messages stay “unread” on my phone so that I don’t forget them later. The Apple Watch 4 comes with even more features (built in cellular, music, phone calls, and more.) If money were no object, I’d buy the Apple Watch Hermes edition, one of the most practical and stylish Mother’s Day gifts, I’ve found! Does she already have a smartwatch? Then she might like a gift card from one of the most popular athleisure brands; Sweaty Betty, London. If you’d like to pick something out for her, the company currently offers free shipping to the U.S. They also offer free returns (within 30 days) and pay any taxes and duties. (Check their website for updates before purchasing.) I’m intrigued by their Power 7/8 Side Pocket Leggings which claim to be bum sculpting! Which Mom doesn’t need that?! If you read my Spring/Summer 2019 Accessories trend report, you know that Teva inspired sandals are very much in style. Give her a pair with a fashion upgrade, like the Midform Universal Geometric sandals. They hav leather straps and a 1 1/4″ platform heel. She cares about sustainability, her community, and healthy choices. If you find a surprise gift on your doorstep, she left it because she knew you needed a little love. For her, take a look at these little heart chain hoops from Au|Rate, a company that uses ethically sourced gold, donates books to children in need, and offers a lifetime warranty on their jewelry. If she likes the mismatched earring trend, they also sell single earrings so you can create a special look for her. If you’re looking for clothing, take a look at Reformation, a company that creates most of their clothing in their sustainable factory in L.A. They mostly use fabric made from renewable resources to create modern, feminine styles. Their sizing ranges from 0 to 22, and they also have petite (under 5’2″) sizes. I love their Parisa Wang bracelet bag and the Nikita dress. 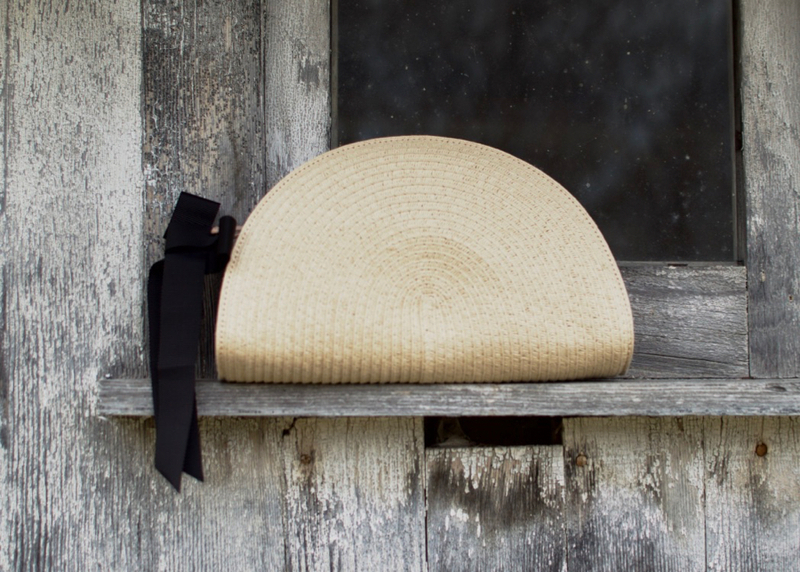 She may also like a responsibly produced straw bag like the round tote from Beach’d or the Dylan bag from Kayu. Both brands use ethical production practices and sustainable resources. If I didn’t already have this straw clutch from Banana Republic, I would consider this crocheted pouch from Mar Y Sol, another brand that works with artisans overseas and uses sustainable materials. She’s a natural leader who loves bold colors and bright prints. She mixes designer pieces with classic staples. Whatever she wears, you can’t help but notice her. 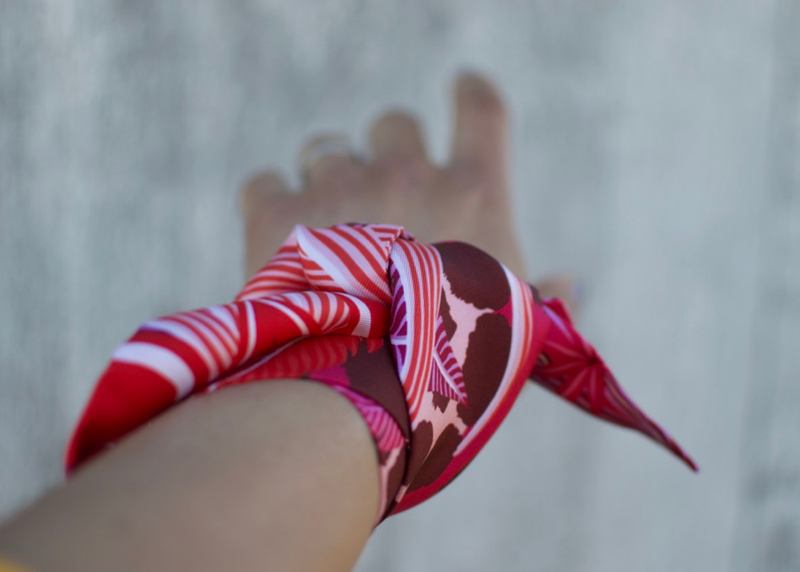 A silk Hermes scarf always makes a statement. Their Twilly is a skinny scarf that she can wear around her neck, tied to her handbag or wrist. If you are looking for something under $50, the Cuyuna silk skinny scarf is bright and beautiful. For an under $500 bold handbag, some of my favorite brands are Staud, See By Chloe, and Furla. Mango also has some gorgeous, bold handbags for under $100 including this wooden handle leather bag and this leather bucket bag. If you’re looking for clothing try bold polka dot dress, like the Polka Dot Tie-Waist Dress from & Other Stories for under $150, or Zara’s wrap dress for under $30. For a really fun bubble dot print, take a look at Kate Spade’s spring collection. She mixes old with new, prints with prints, and loves floaty fabric. She is an artist whether it is in the food she prepares, the furniture she finishes, or the handmade cards she sends. Her favorite stores are Anthropologie and Free People, so you can’t go wrong with gift cards from them. Some of my favorite boho chic pieces from these stores are the Kika’s Printed Midi Dress from Free People and the Farm Rio Patchwork skirt from Anthropologie. She’ll appreciate a fun printed tote, so consider a coated canvas handbag. My favorite coated canvas bag is this backpack from Orla Kiely. She dissolved her namesake brand last year but is continuing some of her licensed products, such as this diaper bag at Target. It’s a stylish Mother’s Day gift option for a new mom or mom-to-be. She takes you on an adventure and makes you laugh. Her outfits are whimsical, fun and colorful. Her positive outlook is contagious. The late Kate Spade created the brand Frances Valentine after she sold her namesake line. Their current spokesmodel, Rachel Brosnahan a.k.a. The Marvelous Mrs. Maisel is the brand’s muse; fun, witty, adventurous and youthful. (Fun fact: Rachel also happens to be Kate’s niece.) If you know a mom with a great sense of humor, a Frances Valentine handbag or jewelry may be just what she wants. 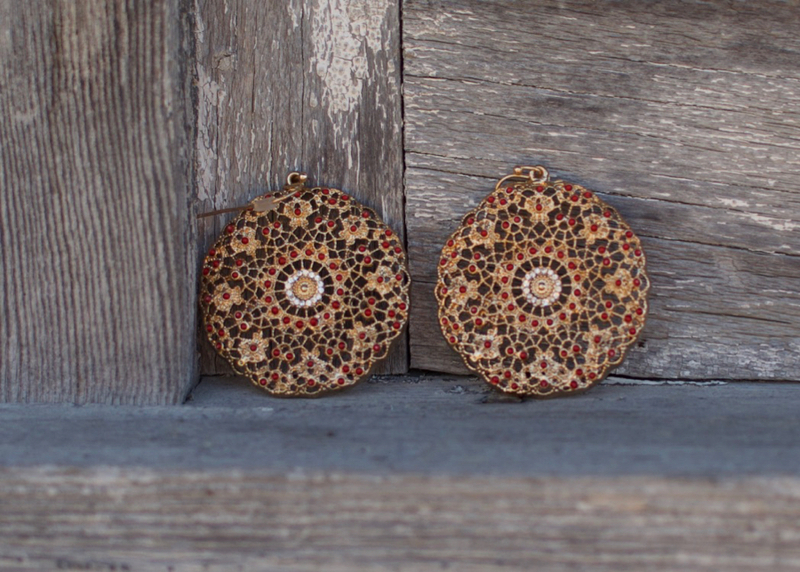 My Filigree earrings also come in turquoise stones or crystals. If you want something a little more traditional, but still whimsilcal, you also can’t go wrong with the Tiffany smile pendant. Anthropologie always has whimsical prints like a dog print Colloquial Long-Sleeve dress. These stylish Mother’s Day gifts are also perfect for birthdays, holidays or “just because” so save this post for those occasions too. Also, take a look at these posts written by my blogger friends who have other areas of expertise (and check back for updates). Gifts For Moms Who Love Etsy by Heartland Lettering. The Best Gifts For Single Moms On Mother’s Day by Learning 2 Bloom. 7 Brilliant Gift Ideas For The Keto Mom by The Struggle Is Beautiful. Mother’s Day Gift Ideas for the Minimalist Mom by Steps to Self. 10 Awesome Gifts For Wine Lovers by Pairings and Parenting. The Cooking Mom Gift Guide by Normal Life Mom. Mother’s Day Gifts for moms that love to read by Diary of a SoCal mama. 15 Mother’s Day Gifts For Expectant Mothers by Lets Mama. Mother’s Day Gift Guide for Stay-at-Home Moms by Blending Lives. Best Mothers day gifts for the “Outdoors” Mom by Kids, Chaos & Confusion. Unique Gifts for the New Mom’s First Mother’s Day Ever by Crazy Gorgeous Life. As always, I look forward to your comments and questions, so let me know what you end up buying for the special Mom in your life. These are some good ideas. I like how you broke the post into different ideas for moms with different styles.